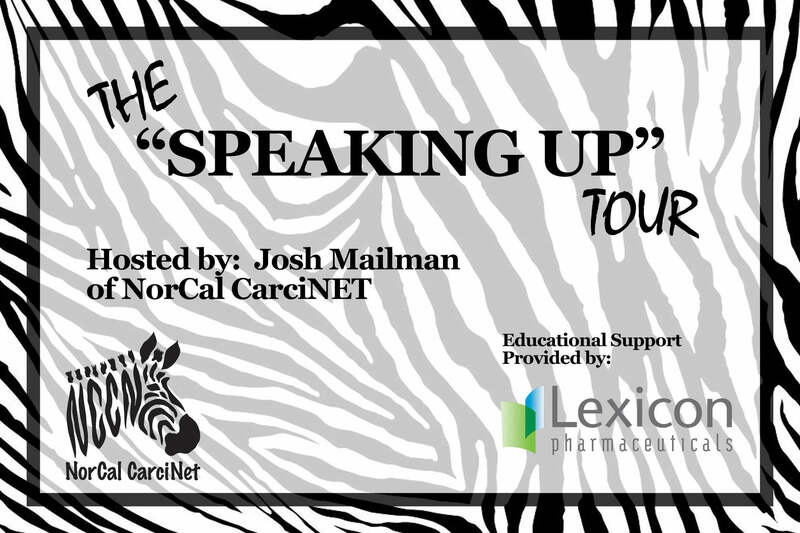 In 2017 NorCal CarciNET worked with Lexicon Pharmasectials to host a pannel on talking with your physcians, we called it "Speaking Up...". In May 2017, Josh Mailman, NorCal CarciNET's president wrote on article in Cure Magazine "Learning to Speak Up With Cancer - What stands in the way of patient-physician communications and how can we get around these barriers? What stands in the way of patient-physician communications and how can we get around these barriers?" Starting in the fall of 2018, NorCal CarciNET is taking the conversation on the road. We hope to "Speak UP" with at least 5 more groups in the coming months. We hope to see you on tour.